This weekend I popped up the road to Inverness to see the in laws. I think sometimes when you live in London you can forget the rest of the country exists (cue eye rolling of everyone outside of zone 6), but Inverness seems to be spoilt for choice with its breweries! 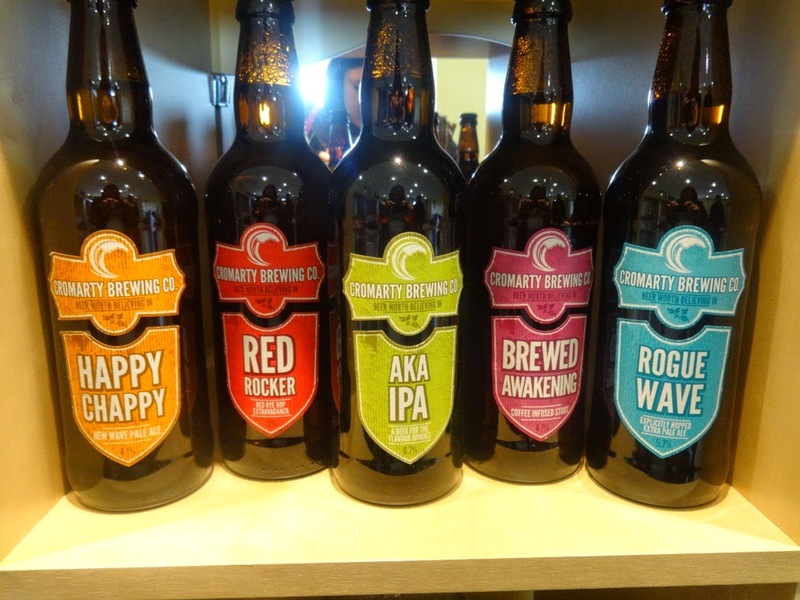 Of course, we had to pop along to all of them to pick up some of their wares and today I’m going to be reviewing the 5 products from the Cromarty Brewery. Well, let’s get stuck in! 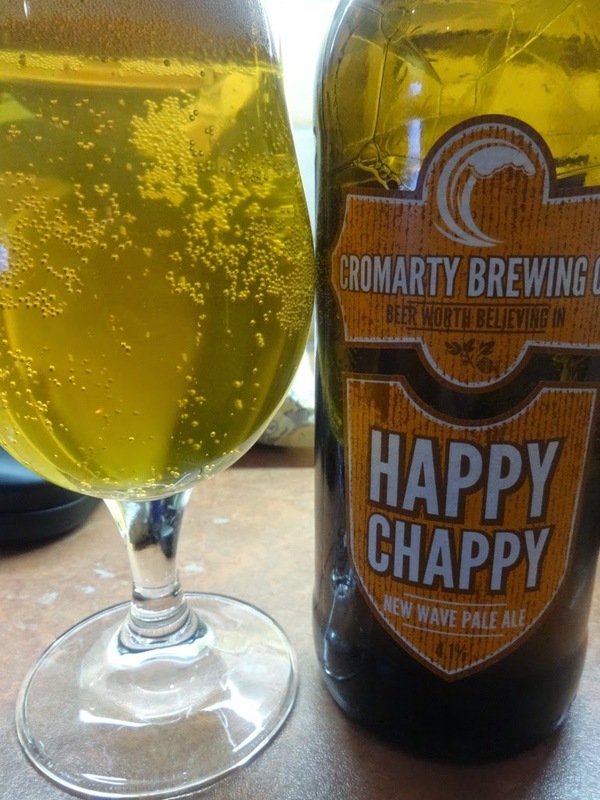 Happy Chappy pours a beautiful golden blonde or, if you put it under a light bulb, toxic yellow! Look, I’m not trying to be David Bailey here. The aroma was hoppy, with a surprising punch of tropical fruit and flowers. The hops follow through in the taste and a subtle bitterness comes through, but it doesn’t build resulting in it being extremely drinkable. This is such a summer beer, perfect for sunshine and bbqs. Now, I’m partial to a red ale, so I was hoping this wasn’t going to let me down. It didn’t. 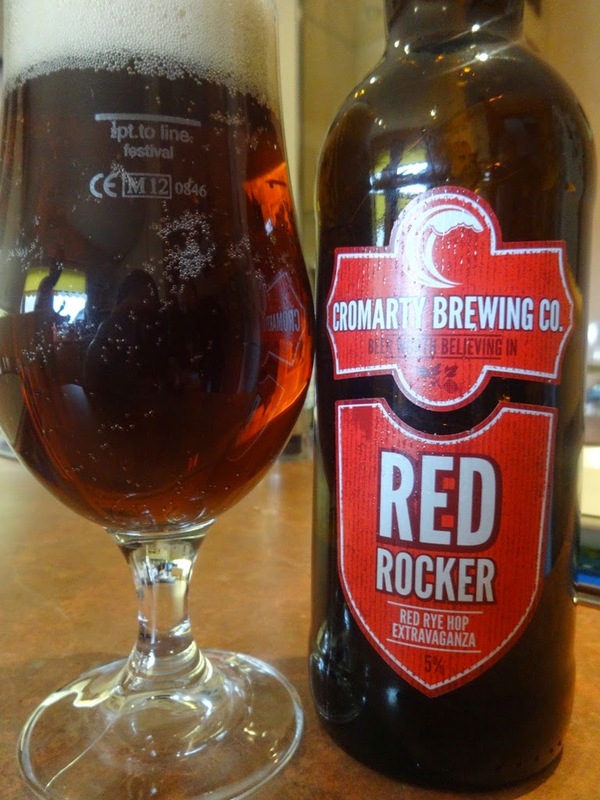 It poured a caramel red/brown with a large white head (already looking scrummy) and smelled of rye, caramel and hops. It tasted of malty caramel and sharp grapefruit, a perfect balance of sweet and bitterness. To be honest I was fairly sure I was going to like this as it’s a strong IPA packed full of American hops; what’s not to like? A dark amber with a creamy head, AKA IPA has that grassy, sunshine filled aroma that I’ve come to expect from a good beer of this style. This fresh, crisp grassiness really comes through in the taste with elements of pine. citrus fruits and a burst of bitterness to finish. 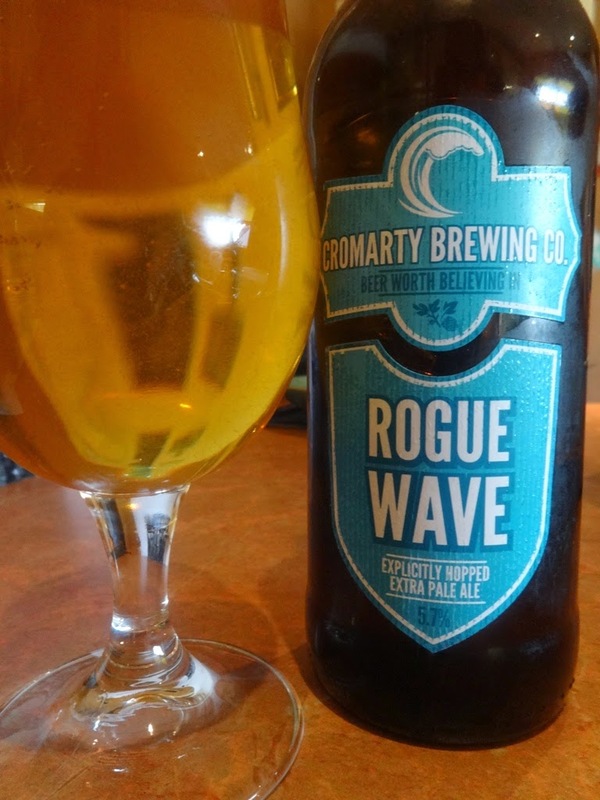 Rogue Wave promises that it is ‘explicitly hopped’ and boy does it follow through on that promise! Hop central! 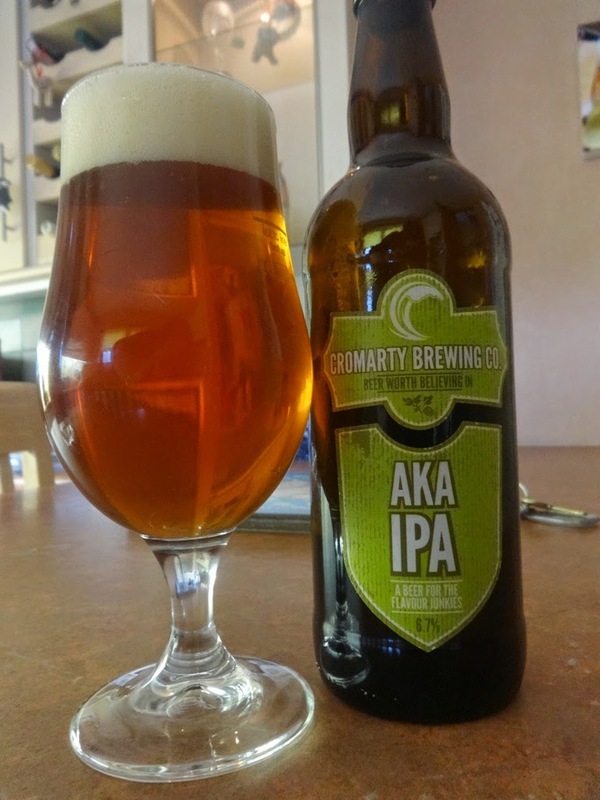 Similar to the AKA IPA, but with stronger elements of tropical fruit and the dryness of a sloe. Sweet, but with a crack of bitterness, this is another that’s great for a summer’s day all crisp and mildly carbonated. I am, in my opinion, saving the best for last here. 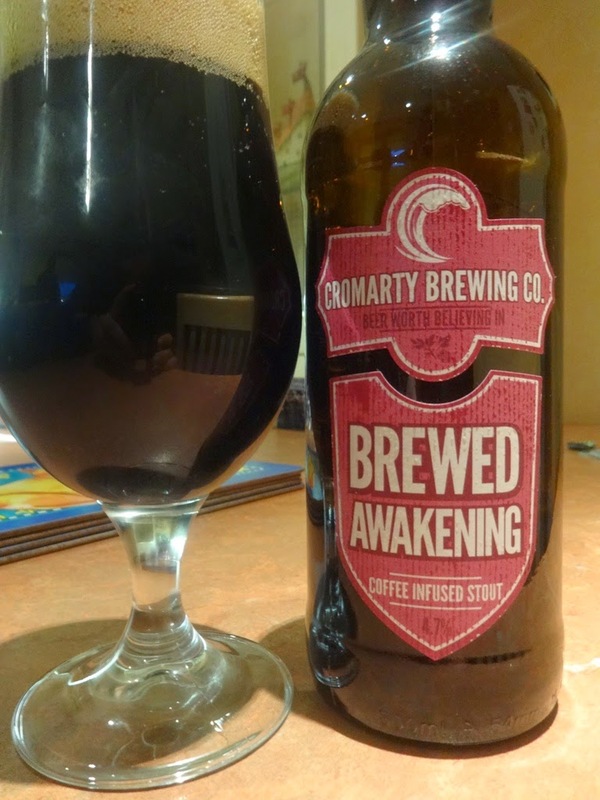 Brewed Awakening is a coffee infused stout and, if you like your coffee strong and bitter you are going to LOVE this. Deep dark brown with a beige head, I was expecting something creamier, but this has a very light body. The taste is simply of strong, bitter coffee with hints of dark chocolate. In fact, it’s like drinking a really good quality iced mocha coffee without a hint of alcohol. And you know what that is? DANGEROUS. I have nothing bad to say about any of these beers and that’s a first. I was expecting a standard selection from a new brewery, but to be honest I’ve been bowled over by the quality and flavour of these beers. Their online shop isn’t up and running yet, but you can find out where to buy them here if you’re in Scotland. As for the rest of us, I suppose we’ll just have to wait, unless some of you lovely London bottle shops fancy stocking them? Come on, I need my Cromarty fix! Jealous of your trip – I definitely want to try the AKA IPA. Their KiWheat (kiwi wheat beer, see what they did there?) was one of my beers of last year, superbly fruity, tart, fresh and quaffable. Oof, KiWheat? It sounds right up my street. 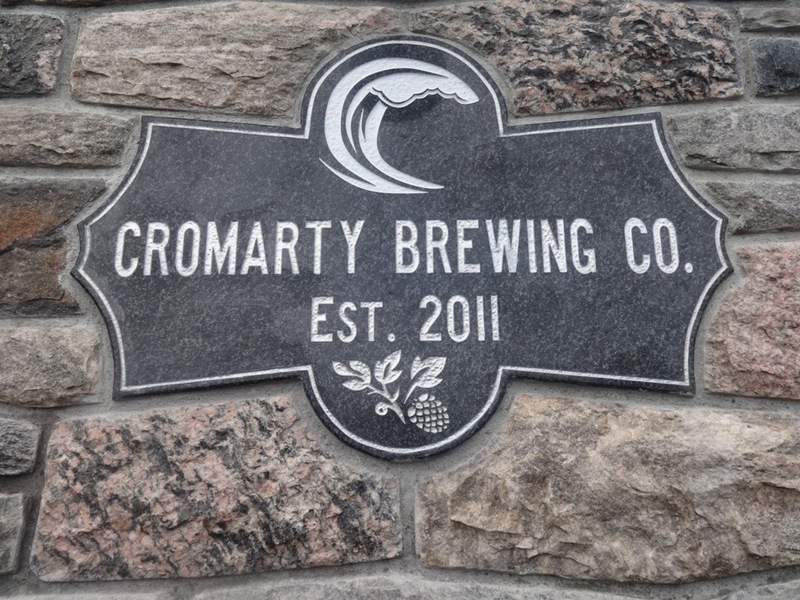 I was reading a bit more about Cromarty Brewery this morning and it's really impressive how much he's managed to achieve at such a young age. Will definitely be back for a few more bottles.